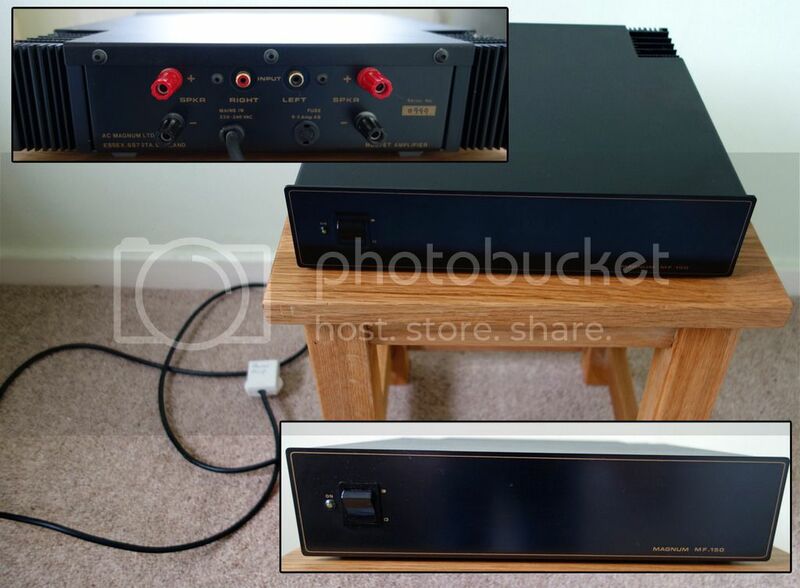 I have just picked a Magnum Mp330 and Mf330 so i am selling my Mp150 pre amp and Mp150 power amp both are immaculate and working spot on they come with their original boxes and my friend who owned them before had them from new,he didn't use them much same as my self. They been very well looked after and truly are immaculate. I'm looking for £320 delivered or collection more than welcome. Power amp is 89 watts per channel with plenty of grunt to drive most speakers. Sorry i didn't take pictures of the boxes,they are immaculate as well. 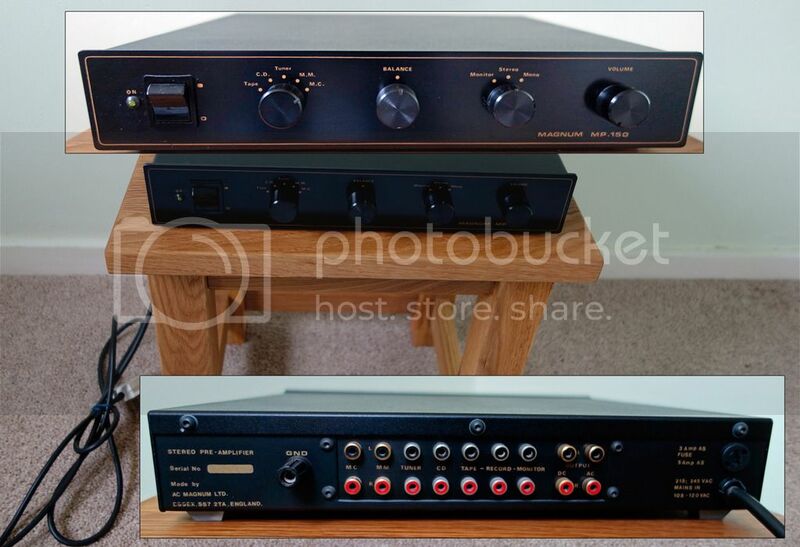 Nice amp and a bargain, I knew the designer he was mad. I have decided to keep these now,they are bloody good amps so staying with me. You can close this thread now thank you. Thank you Doc. really need to move these on as my spare rooms are filled and need to clear out Price lowered £300 delivered. I will take them if there still available ? Farout has asked me to re-open this sale. Dan why are you selling them again? Oh the MP150 was a copy of the Oberon some how Mr Relph managed to nick the PCB artwork and use it without my permission, a theme through my life Ben. None of them have original thought, nice amp, well I am biased. So great sounding amps then, Col...? If I was in the UK I'd have those off you in a flash. Visions of consulting with Colin to bring them up to original design spec. instead of bean counter production price B-) , could be interesting! Does look like a steal at 250. If I didn't have too many amps already I'd be tempted myself. I'm sticking to my Dansette and Philips Cassette Recorder. Have cleared out and tidied the tool shed this week. If you were to look through the archives here, my (very similar) pre amplifer had some simple (as in V-tech simple) surgery to improve it, and Col himself later waved a wand over it to increase further the depth of unicorn essence and widen the quantum field. The pre amp on its own is worth the asking price! It was just adding a pinch of Strontium Ferrite Oxide plus a smidgen of Osmium Chlorate that improved it Alan. I hope they do sell mate, they should be super. Have you tried pink fish media? Seems to have a busy classifieds these days, but this is the quiet season for selling HiFi. Now sold Please close. Thank You.